“All things happen in due time. Do not dwell on the action of another, or even on the absence of action. For within the quiet, waiting period, in the still anticipation, comes the clarity which will drive you forward in haste, once haste becomes necessary. “Remember that the finest leaps in imagination come not from sheer will, but from pure need! Never force what inspiration gives freely, or you will taint the well with ego, and what results will be less Divine, and less yourself than all the sharply tailored versions of you, kept for consumption by others. 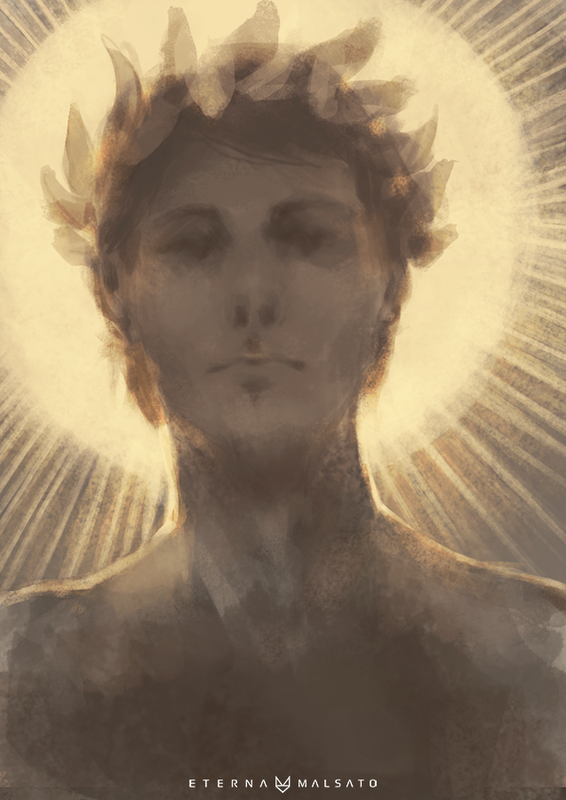 Image: “Apollo”, by FoxInShadow, on DeviantArt.